Precision Strata | News | Are You Compliant with the New Window Lock Laws? Are You Compliant to the New Window Lock Laws? With around 50 Australian children falling from windows and balconies each year, many of which result in serious injuries or are fatal, the NSW Department of Fair Trading has introduced new window lock laws. Strata owners will need to be compliant to the new laws by 13 March 2018, or risk fines. Owners Corporations must ensure that installed safety devices will be able to limit the maximum window opening to 12.5 centimetres. It should also be robust and childproof. Window locks and safety screens are considered suitable window safety devices, but ordinary insect screens are not. Owners can install safety devices regardless of the by-laws of the strata scheme. Owners are to include window safety devices in the prescribed condition report for rental premises. Owners Corporations have been given five years to fit window safety devices from 13 March 2013 until the deadline on 13 March 2018. With so many new provisions, strata owners and owners corporations can consider hiring a strata manager to help carry out window lock installations in a smooth, systematic and cost-effective manner. 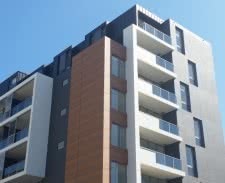 Contact Shane Ball [email : info@precisionstrata.com.au], Licensed Strata Manager and Managing Director at PRECISION STRATA to find out how a strata manager can help you comply with new window lock laws.